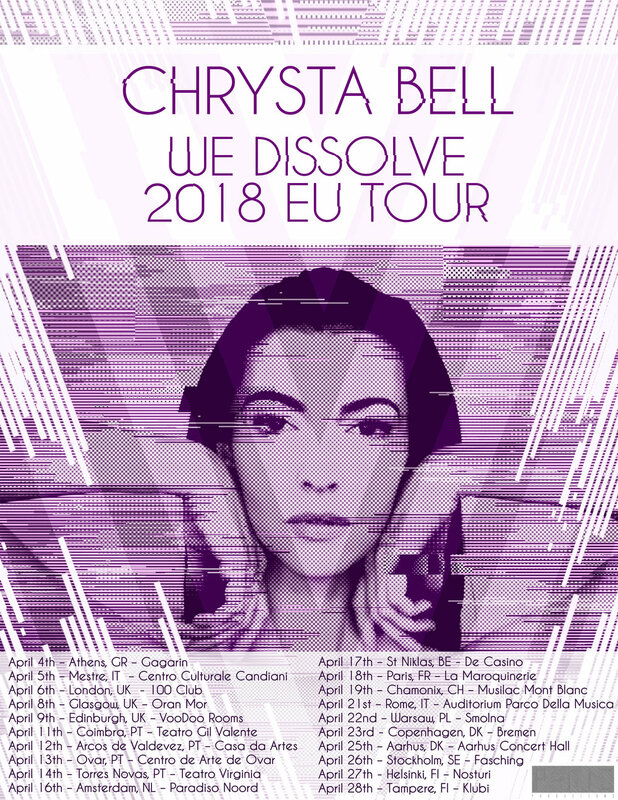 Using the photos we shot for Chrysta Bell's We Dissolve LP. We decided our approach would be to have a consistent look by using the same image and referencing the color palette used by our collaboration with Meat and Potatoes on her LP Jacket and cover design. We wanted to show her dissolving into this new fragmented digital world. This was our first opportunity to design a rock tour poster. We couldn't be happier with how it turned out. Check www.chrystabell.com for updated tour dates.